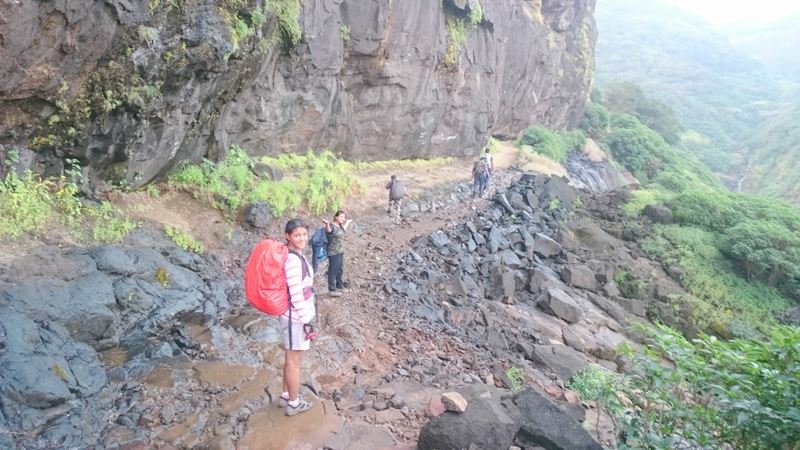 Harishchandragad (HCG), at an elevation of 4,665 ft above MSL, surrounded by ruins and caves from antiquity and with one of the most daunting routes to be trekked on, offers the best trekking experience in the Sahyadris for every trekker. 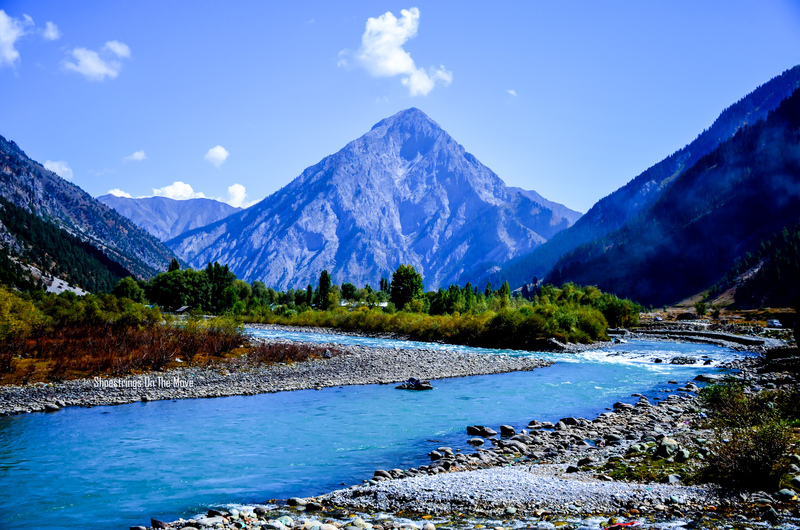 It is also referred to as a trekker’s paradise since one trek to HCG can be combined with rappelling, valley crossing and rock-climbing. 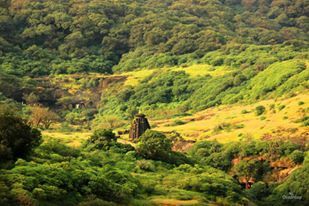 HCG is a beautiful hill fort in the Malshej region of Western Ghats, located in Ahmednagar district of Maharashtra, India. The fortifications have been traced back to the Microlithic age (6thCentury). Many ancient scriptures like Matsyapurana, Skandapurana and Agnipurana have the mention and references about HCG. The caves are dated back to 11th century. 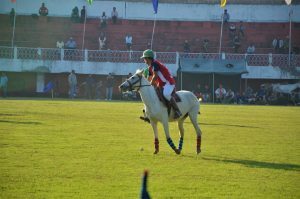 The origin of the fort is said to have been during the rule of Kalachuri dynasty. A great saint named Changdev (created the epic- Tatvasaar) is believed to have meditated for 12 continuous years inside the caves besides the Harishchandreshwara temple during 14th Century. 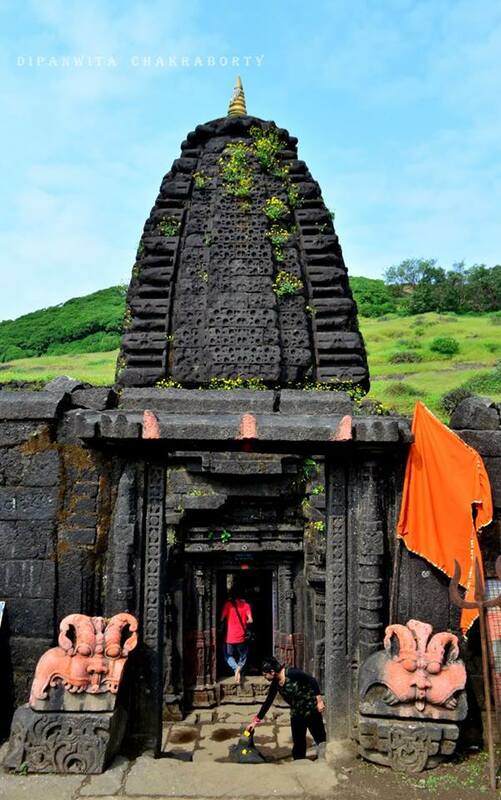 The Harishchandreshwar Temple is an astounding example of the magnificent Hemadpanthi Architecture formed during the 13th Century in Maharashtra. This architectural style is named after it’s founder, Hemadpant, the prime minister from the court of Seuna Yadavas of Devagiri. 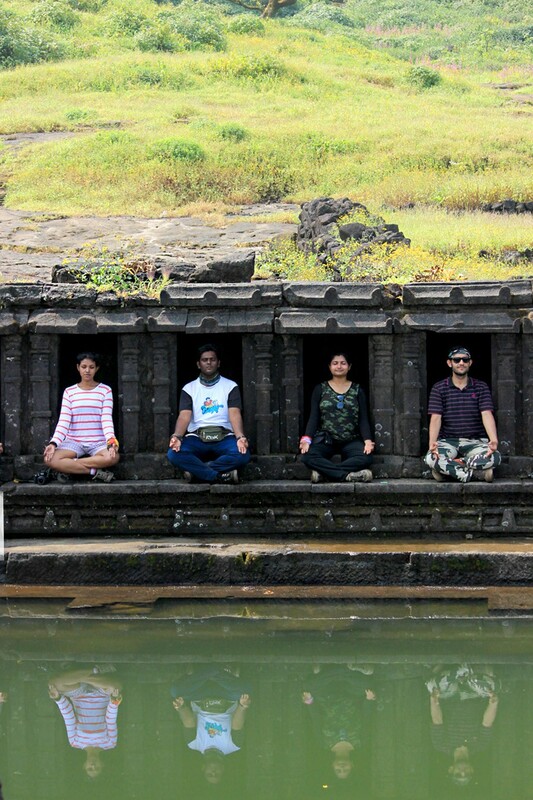 The carvings on the temple walls and also in the Kedareshwar cave indicate that the fort belongs to the medieval period. Later, the Mughals took control over the fort followed by the Marathas during 1747. 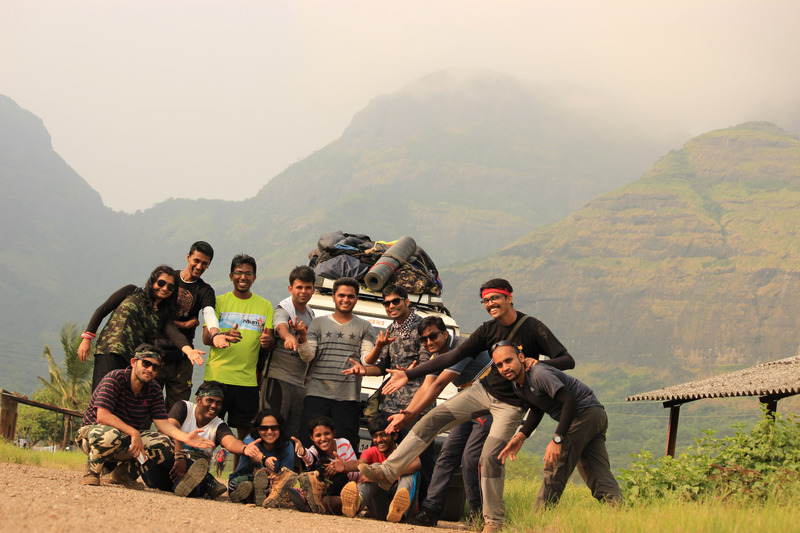 Final day and mighty HCG (Harishchandragad) awaited us. 4 members dropped out of final lap of the trek. Radha and Anand due to Radha’s broken shoes. 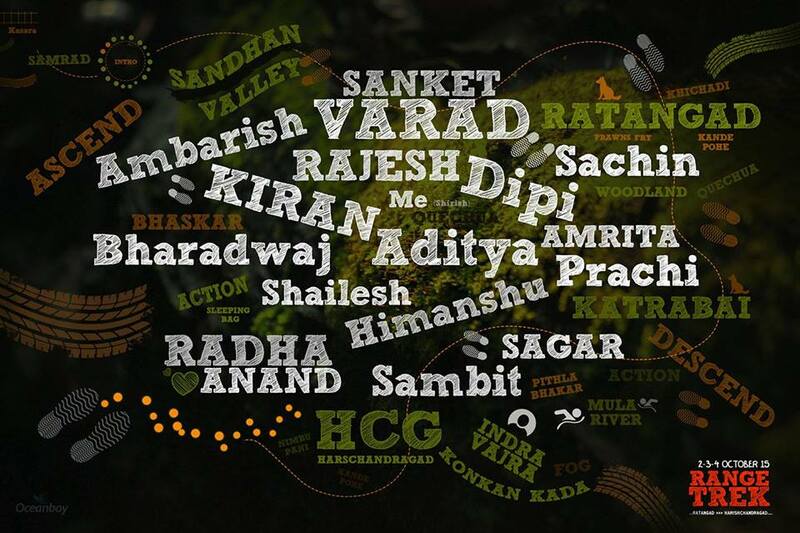 Bharadwaj and Sagar due to unplanned work schedules that came up. 4 down, 14 left for the last ascent. 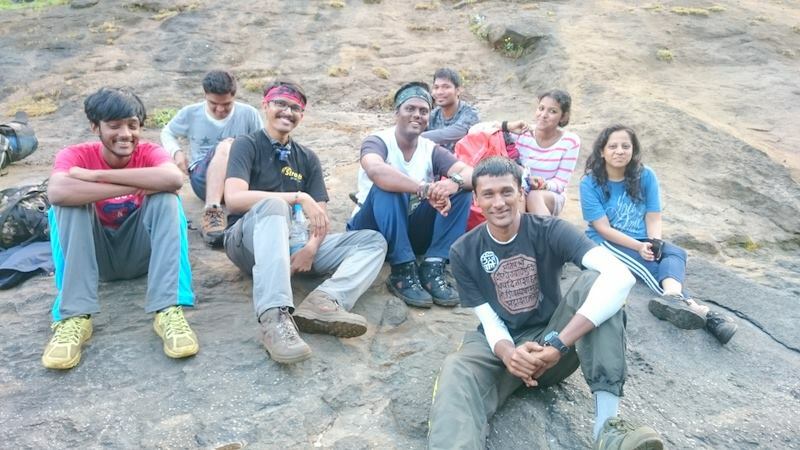 We were to ascent via Pachnai and descent was planned via Khireshwar route. Wake up call at 4:30 AM. Everyone woke up at one call. HCG excitement. 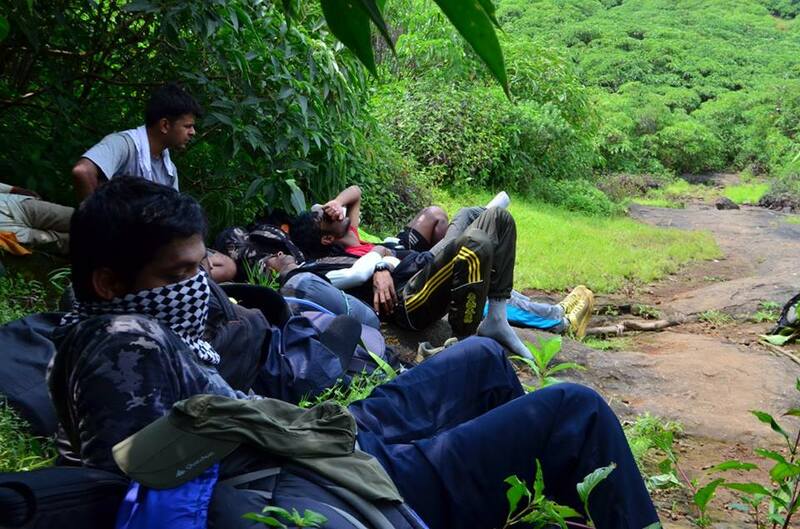 We started at around 5:45 for Harishchandragad after having tea. The Paachnai route towards HCG is the simplest of the 5 routes to reach HCG. It took us approximate 2 hours to complete the ascent with one tea and snack break in between by a stream. 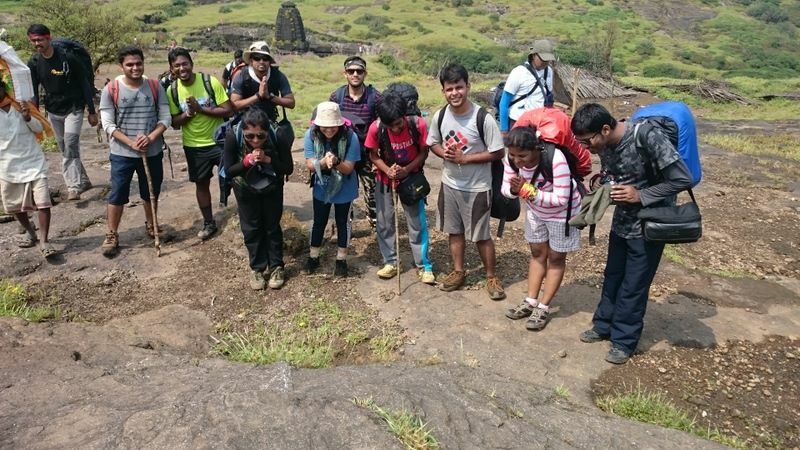 Once atop, we directly started for Konkan Kada without stopping by any caves and temples. Did not wish to miss the most spectacular view of the valley from the cliff. 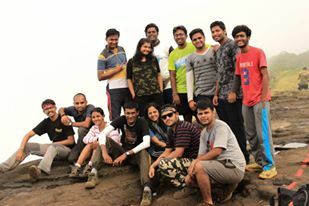 Konkan Kada (Konkan Cliff) is the principal attraction of HCG. This vertical overhang is like a cobra’s hood and gives the most beautiful panoramic view of the valley. Konkan Kada is also the best place to get the glimpse of “Indravajra” (a circular rainbow – the Brocken Spectre phenomenon). 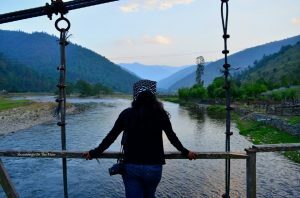 This can mostly be seen during the monsoon or at the presence of mist in the valley with sun right behind the person facing the valley. 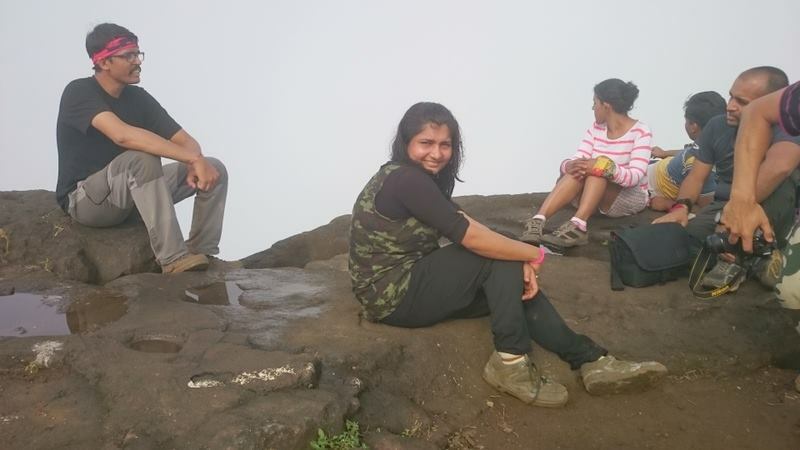 By the time we reached Konkan Kada, the mist started to blanket over. Well, we missed the view of the valley and now hoped for the unexpected. Appearance of “The Indravajra”. Sitting by the edge of Konkan Kada, I couldn’t help but realize the diminutiveness of all beings in comparison to the resplendence of the nature. 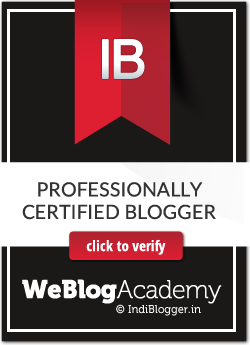 While I was immersed in the thoughts that kept blurting out of my mind, I suddenly became aware of a fuss among our team. 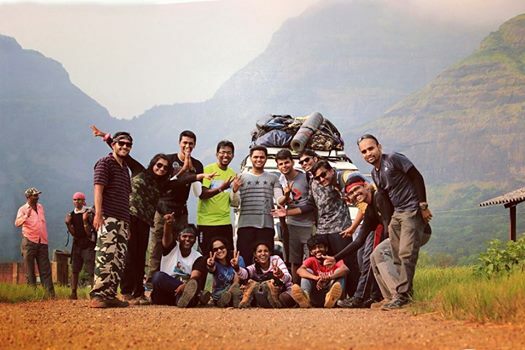 Sanket, Varad, Aaditya started screaming and pointing towards the valley. 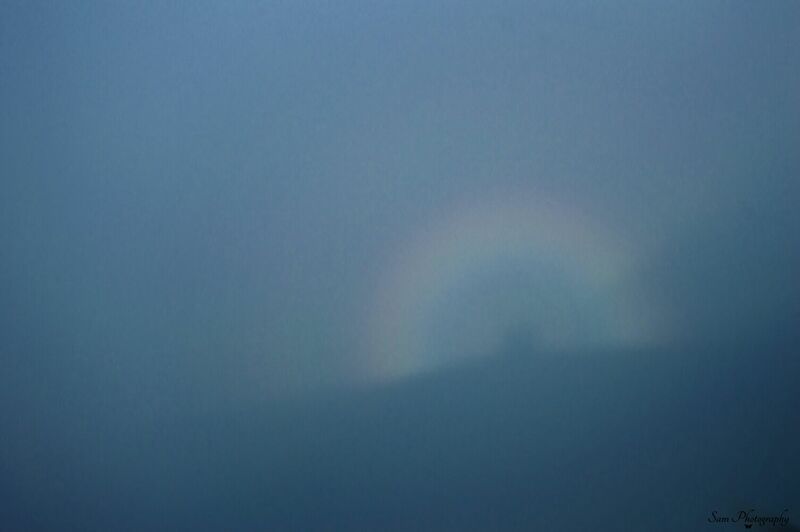 Far away, in the midst of the misty blanket, there was a dim circular rainbow that appeared. All of us got super-excited and started waving towards it. With the sun right behind us and luck smiling, we got to witness one of the most spectacular and rare phenomenon. We got to see “The Indravajra”. Our happiness and excitements knew no bounds. 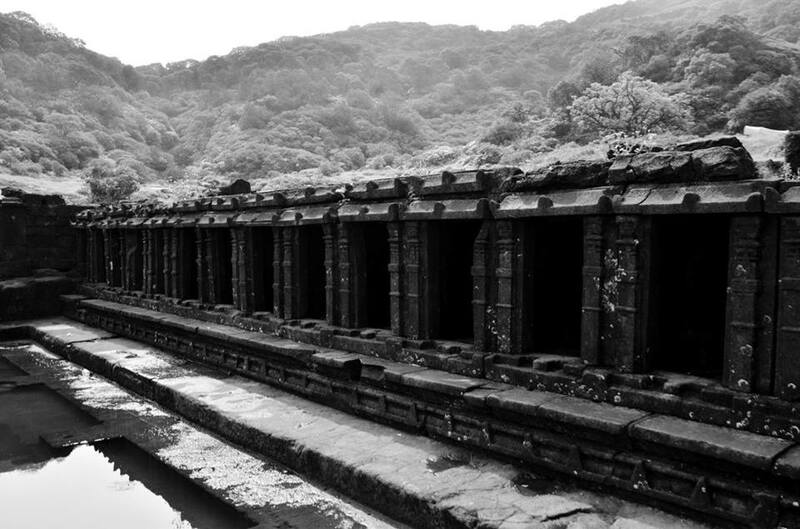 People camp on the Konkan Kada and wait for days for a glimpse of Indravajra but are not always lucky enough. We were lucky at the first go. We headed towards the caves after having breakfast and tea at Bhaskar dada’s food stall. The first stop was the Harishchandreshwara Temple. Sanket introduced us to the rich history of the temple and apprised us about the Hemadpanthi architectural style, in which the temple was built. Towards the east of Harishchandreshwara temple is the Saptatirtha Pushkarni pond. Saptatirtha Pushkarni is a temple pond. 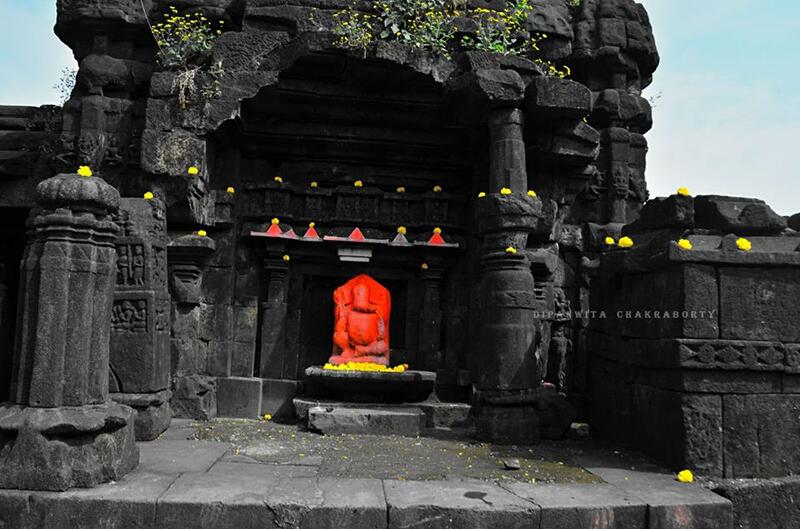 The temple like constructions had idols of Lord Vishnu in them, which, until recently, have been shifted into one of the caves besides Harishchandreshwar temple. An interesting fact about the water of the pond is that, it remains ice- cold even during the scorching summer heat. The famous Kedareshwar cave is on the right of Harishchandreshwar temple. 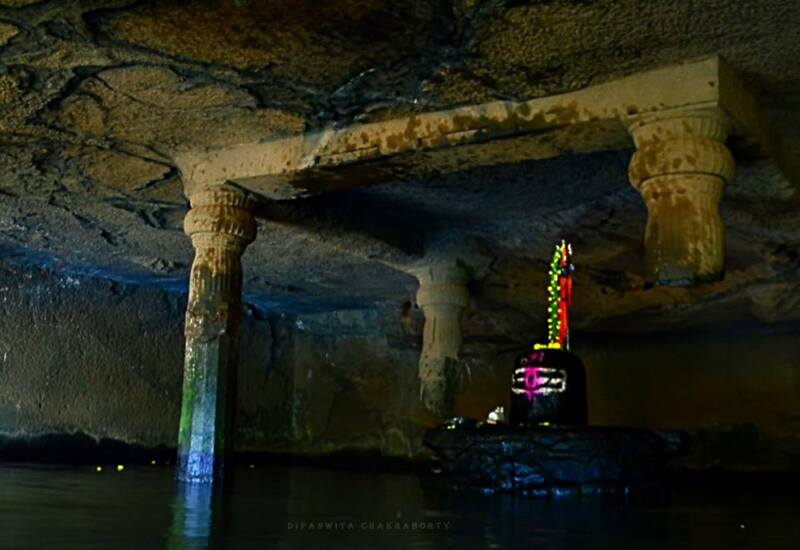 The Kedareshwar Cave is famous for the it’s beautiful 5 ft tall Shivalingam, surrounded by biting cold water and 4 pillars, namely symbolizing the 4 yugas (eras); “Satya Yug”, “Treta Yug”, “Dwapar Yug” and “Kali Yug”. Local legend has it that each pillar would break by itself at the end of each yuga. As per general belief, we are currently in the “Kali Yug” and the day the 4th pillar breaks, it will be considered as the end of the era / world. We were immersed in taking pictures all time and not ready to start the descent. 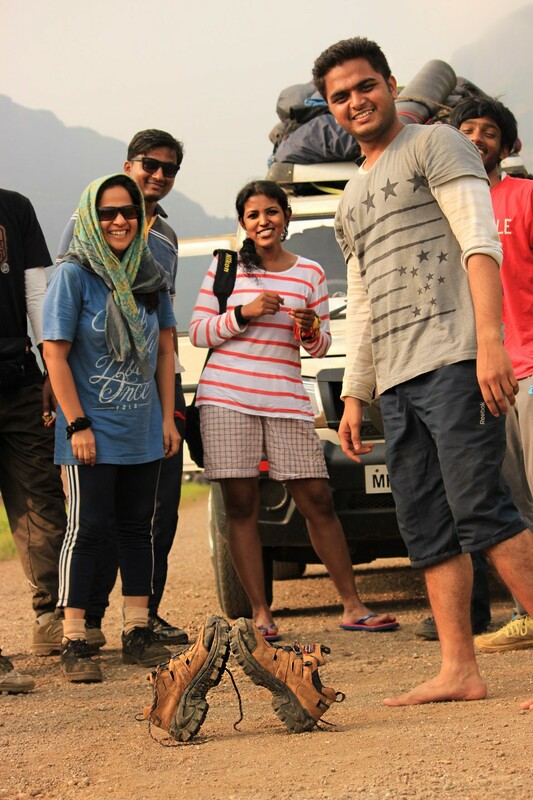 Sanket kept insisting that we start descending since the Khireswar route was long and time consuming. He had set the target of reaching Khireshwar no later than 3:00 PM. 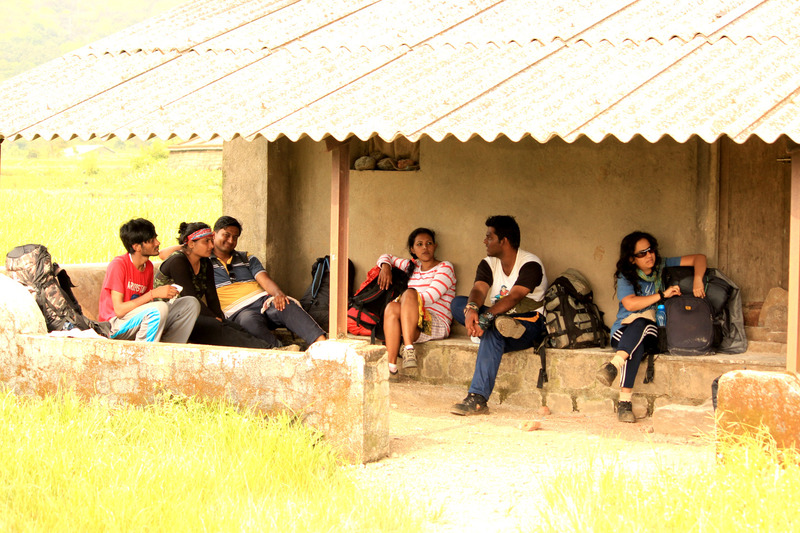 A good scolding from Sanket and stern instructions to keep all cameras inside the bags made us behave righteously. There were quite a few tricky yet manageable patches during the descend. Major part of the descend was rocky and through forest. The first stopover was for lunch and a long long break. Some of us even went for power naps before starting the next leg of descent. 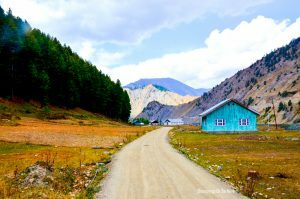 Around 45 mins of walking after lunch, we reached Tolar Khind (Tolar Valley). Dehydrated to core, everyone went on for many rounds of lemon water. 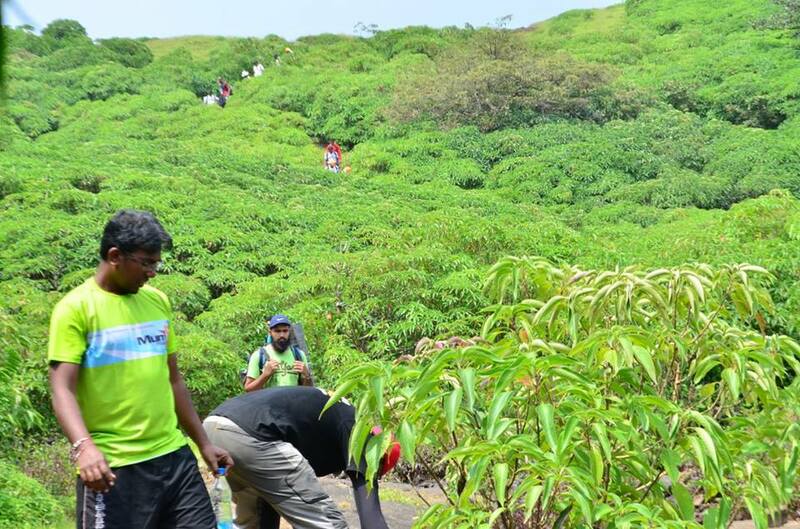 Sanket, Himanshu and Sambit almost started running and were non-traceable for the remaining part of the descent. We reached Khireshwar exactly at 3:00 PM. Sanket, who had reached Khireshwar long before us, had already played his cards and came with a work-around which saved us from walking for 2 more hours till Khubi Phata and struggle to catch a bus for Kalyan. We would hire a private vehicle which would drop us till Murbad. So, 14 people squeezed inside a vehicle that could accommodate only 10. Musical and sleepy journey till Murbad. Murbad to Shahad in another vehicle. Shahad to Mumbai in local train. Trekmates back to their respective homes. At the end of one more amazing experience, some more new places and few more new friends, I came back much richer. 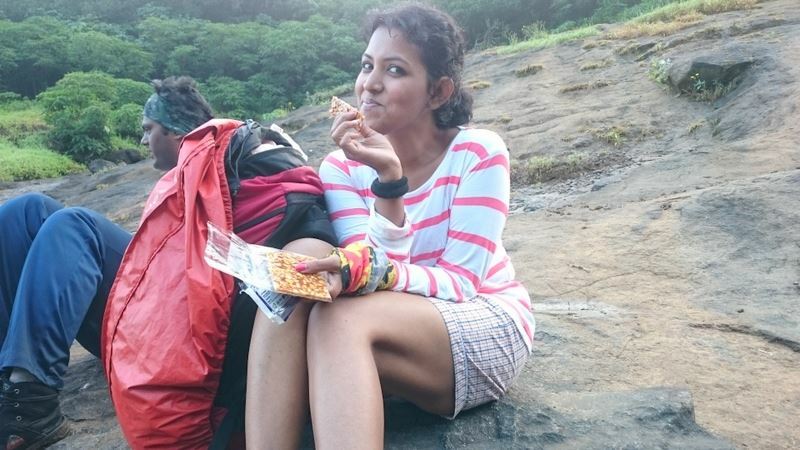 It is always overwhelming to re-live those moments each time I sit for writing about a trek. 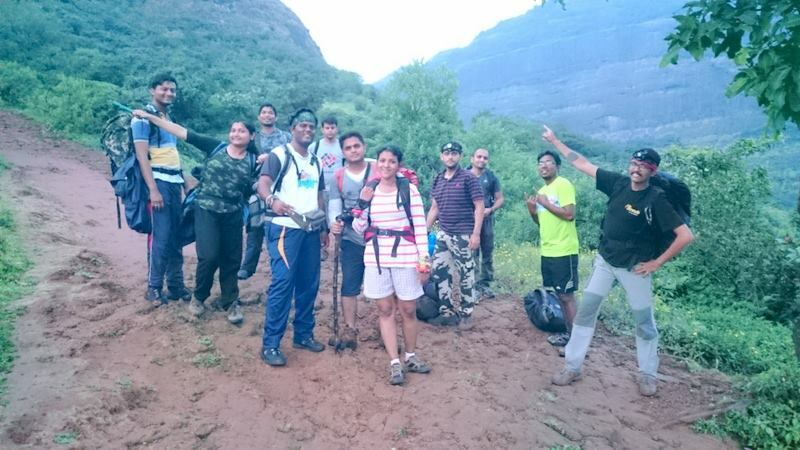 It takes me back to day one when I had gone for my first trek. All alone, with a lost vision about life and abstruse future. Today it’s entirely different. Today, I smile a lot and seldom worry. I always thank the divine almighty for having sent angels in my life and help me carve the right path for myself through the many thicks.